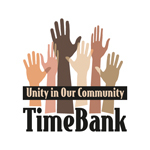 After you fill out this form you'll be contacted by an experienced TimeBank member to schedule an orientation to activate your account. 815 MEMBERS. 38,371 HOURS EXCHANGED.